The first thing a user notices when visiting Promusic.fm is an interstitial ad. I am all for ad based websites to keep sites free for users, but never ones that interfere with the user experience. I have refused to put interstitials on websites I’ve worked, and that was in the middle of the site. An interstitial on the front of the site would have made me close the window and leave the site to never return. Once logged in, the site begins playing folk music. I’m not sure where that playlist is generated, but the player lists playlist name, artist, song and album. There are no links to find out more about the song or artist, just links to create or edit playlists and buttons to pause or skip the song. By clicking the playlist button, the user is able to create playlists based on genres and subgenres. The site then creates a station based on those selections. Unfortunately, there is no way to control what artists appear in that list and there is no way to let the site learn your tastes, just your tastes in genres. There is a section for favorite artists, but I couldn’t figure out how to populate it with any artists I liked, even though I could search and find them in the search box, but all it allowed me to do was add all the genres (but not some) or buy the mp3s. Promusic.fm has a game called the Music Promoter Game, where you impress people with your playlists and earn virtual currency. You create virtual music festivals and play music for people, but I couldn’t get it to work. You create the festival, give it a name, a start date and an optional end date then the next step is to add a favorite artist. Since I couldn’t figure out how to get a favorite artist, I hit an impasse. Promusic.fm does have video tutorials to tell people how to use the site, but if I am required to watch 30-60 minutes of video in 5 minute intervals, I’m not interested. I can read instructions faster than that and a website’s basic usage should be intuitive with user directions inline rather that breaking the flow of the user experience. 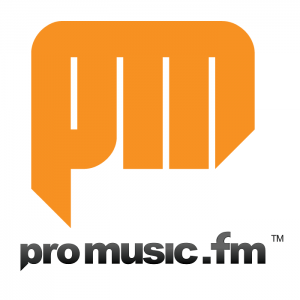 To me, there are other websites that do what Promusic.fm does, but with a smoother experience. If I want to listen to an online radio station, I have Pandora. If I want to listen to specific music or playlists, I have Spotify. If I want to play music for friends, I have Turntable.fm. With all these alternatives and a better user experience, I don’t see myself returning to Promusic.fm as it is now.